Solve the quiz and send a message to your teacher! 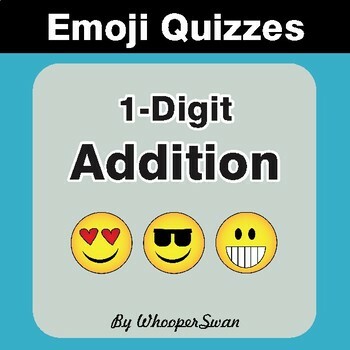 There are emoticons used instead of classic A,B,C,D quiz answers. 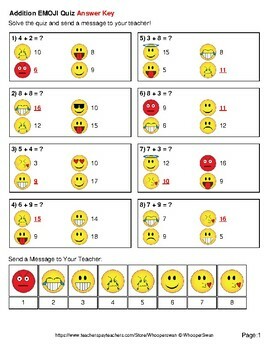 You can ask your students to send their answers with whatsapp, facebook or other service to make it more fun :) Then you compare emoticons with answer page. Each quiz worksheet includes 8 unique problems. * Type this number: 994, if you are not a robot.